Yellow base with red tracer, pale blue glow-in-the-dark (phosphorescent), and grey reflective. Perfect for lower hanging lines at night. With 10 minutes of exposure to light the phosphorescent portion of the sheath glows. 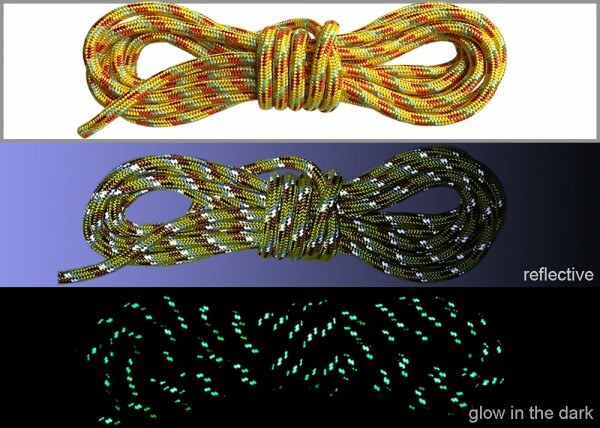 Flashlights will visibly reflect the rope as well. Select from different lengths below. 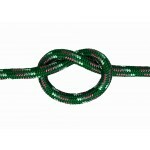 8mm, 3000 lb strength, soft but durable, non-static line. Nylon core with a thick durable sheath: 50/50 weight proportion makes the sheath just as durable as the core. 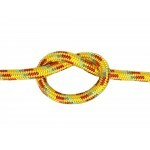 Perfect for camping where there are people moving through your site or to set up a safety life-line, this rope was specifically designed for the Sky Track. Select your length below up to 500 feet. Keep the rope from touching the ground by uncoiling it slowly from the bag. 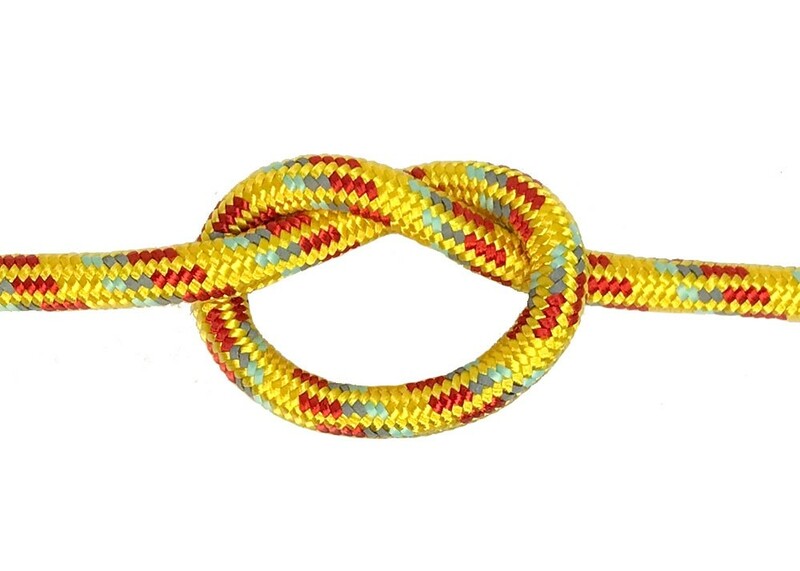 This will increase the life of the rope. Thread two rope clamps (keep them in the open position) onto one end of the rope and move them down about two feet. Use four clamps if your plan on attaching two dogs to the track. Thread the end of the rope into the ratchet so that the teeth of the ratchet catch the rope on the other side when pulled back around. As you walk to the other anchor point, let out more rope but keep it taut. 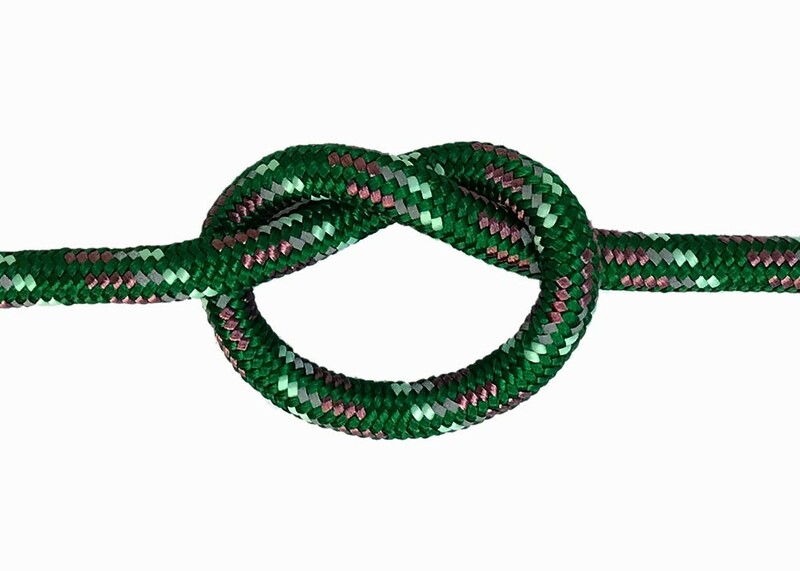 Attach the other end of the rope to the other ratchet in the same manner as the other ratchet. Pull tight so the rope becomes very taut.